A celebration of life for T.H. has changed to 1:00p.m., Tuesday December 11, 2018 at St. Stephen’s United Methodist Church, 1801 W. Brooks St., Norman, OK.
T.H. Milby, Jr. was born December 7, 1926 at St. Anthony’s Hospital in Oklahoma City. His parents were T.H. Milby, Sr. and Hazel Reneau Milby. Upon graduation from Classen High School at age 17, he enlisted in the Army Student Training Reserve Program and was sent to Louisiana State University in Baton Rouge, Louisiana to study until he reached 18 years of age. While there, he made friends with Dr. George Lawry at the Museum of Natural History. Dr. Lawry corresponded with T.H. after the army sent T.H. to Tokyo, Japan as WWII was ending. This friendship cemented his love for LSU. Upon discharge from the Army, T.H. returned to LSU and graduated with a degree in Forestry. He then enrolled and graduated from Southern Methodist University’s Perkins School of Theology in Dallas. 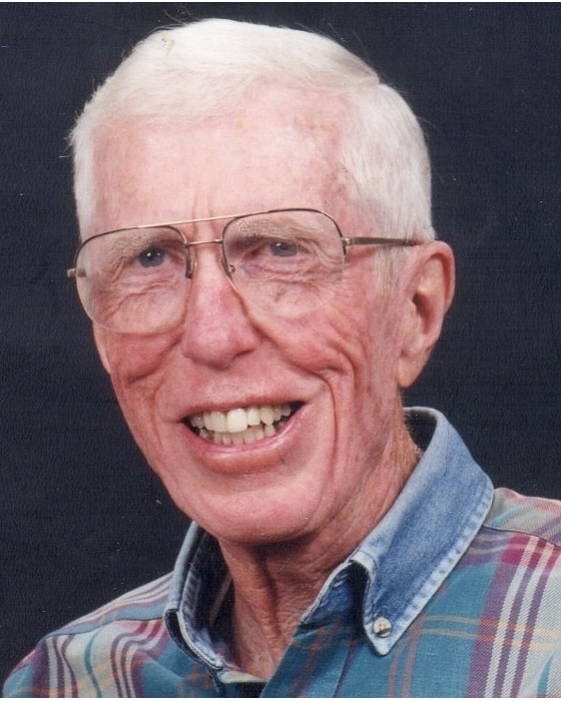 As a Methodist minister, he served churches in Oklahoma, Nebraska, and Louisiana. While serving a church in Louisiana, he returned to LSU to earn a Masters degree in Library Science. While there, he married his wife, Kathleen Stevenson Milby. He worked as a Librarian in Indiana, Missouri, and beginning in 1961 at OU. While on the OU Library Faculty, he studied part time and earned a PhD in Botany and then held dual positions as Science Librarian and Botany Professor. At the same time, he earned another Masters degree, this one in Human Relations. He was the published author of two books and numerous scientific articles. Upon retirement from OU, the university conferred on T.H. the title of Professor Emeritus of Bibliography and of Botany and Microbiology. He treasured his many friends at OU, in Norman, and in other places as he traveled. Even before retirement, T.H. began to plan for retirement. He and Kathleen purchased land to be used after retirement. They named the land Prairie Dog Farms. After retirement from OU, he grew and sold landscape trees on the farm. Later he and Kathleen donated a conservation easement on the farm to the Norman Area Land Conservancy, preserving its natural habitat in perpetuity. T.H. will be remembered for his love of the natural world, especially trees and birds. Many may remember T.H. as the man riding his bike to work and jogging around town while picking up trash, aluminum cans (the revenue went to charity), and money. He was deeply distressed by the degradation of our world as an excess population struggled for sustenance and to take advantage of an ever increasing demand for lifestyle upward mobility. T.H. was a great supporter of social, environmental, and civil rights causes, including being active in establishing Jackson School’s Kindergarten and instrumental in planning and organizing Planned Parenthood of Norman. T.H. was a very giving person, including of himself. He was awarded a plaque in 2000 for donating 10 gallons of blood and continued donating until he aged out of eligibility. He was also known for his wit and sense of humor and seemed to carry a “card file” of jokes in his mind. If you were talking with him, any trigger word or subject might elicit one of his jokes, for he loved to make people laugh. T.H. was preceded in death by his parents, T.H. Milby, Sr. and Hazel Reneau Milby, and his sisters, Winifred Gayle Standridge and Merilyn Gandy. He is survived by his beloved wife of 63 years, Kathleen, his two much loved sons, Lyle (wife Denise Georgiou) and Kirk (wife Rebecca Darrow), his granddaughter, Nicole Milby-Darrow (friend Bryce Burkhart), and two grandsons, Andrew Koszarek (wife Sunni) and Phillip Koszarek (husband Jim Roth), and three great-grandchildren, as well as numerous nieces and nephews. A celebration of T.H.’s life will be held at 1:00 p.m. Tuesday, December 11, 2018, at St. Stephen’s United Methodist Church, 1801 W. Brooks St., Norman, OK.